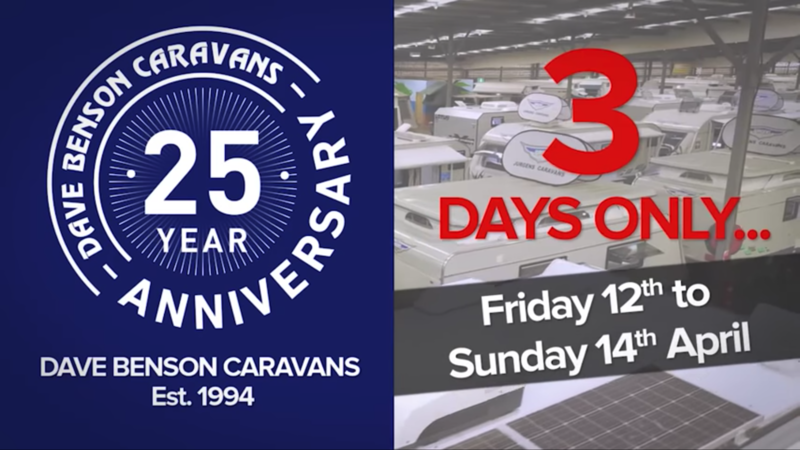 Don't miss the Dave Benson Caravans 25th Anniversary Sale on April 12-14. There'll be factory-backed incentives for every Lotus Caravan sold during the sale. For more information, visit Dave Benson Caravans on Facebook.